SubMeNow is a Canadian social media marketing company that started in 2013. They have services for YouTube, Facebook, and Instagram, claiming to offer a safe and legal way of promoting customers’ social media profiles. The company adds that their social network has a million members. Their site is text-heavy, but they highlight the links to their service pages. To order YouTube views, customers give their video URL and pay using PayPal. The site has discounts for packages of 10,000 views and up, but there are no custom options. They also have a lifetime replacement warranty for lost views. 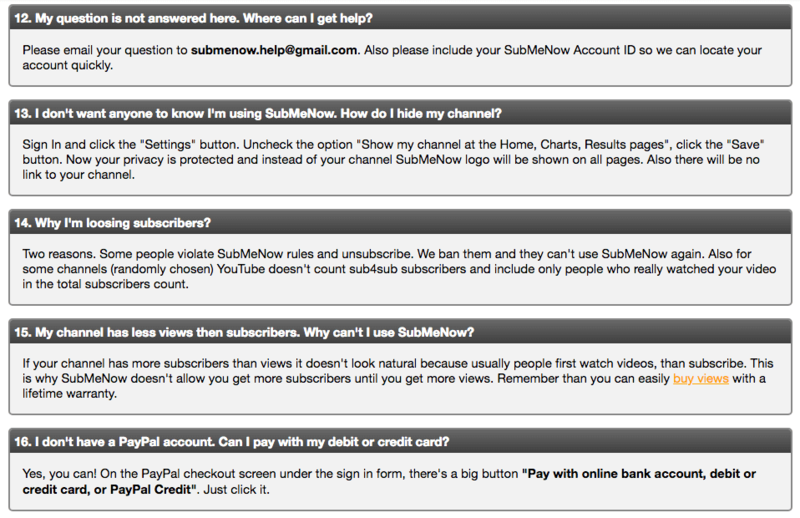 If they are not able to recover your view count in two weeks, SubMeNow will refund your money. Customers can email their questions about the guarantees and services to submenow.help@gmail.com. 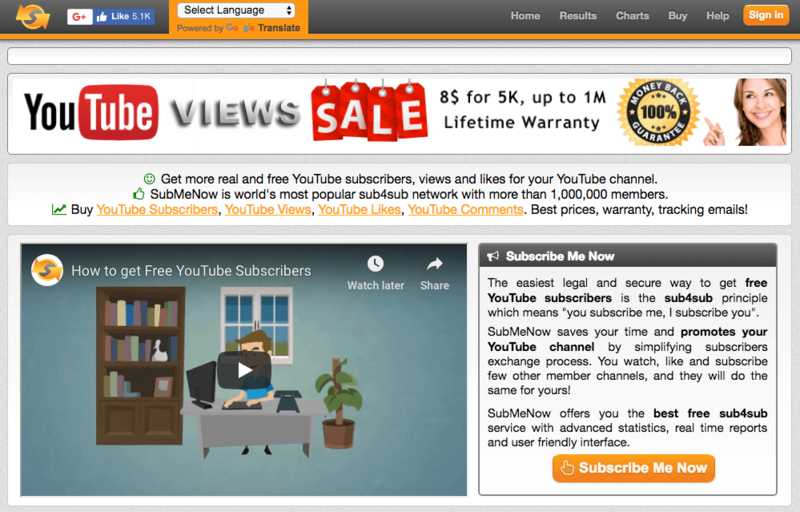 We like SubMeNow’s large YouTube views packages, with their biggest one going up to 200,000 views. Their prices are at the lower end of the average price range for most companies, and the included discounts add more savings. We also like the lifetime warranty they offer. Our only issue is the email-only customer support, as they can take a while to reply. With all that, SubMeNow is a good option if you want to give your YouTube videos a solid push. Do you agree with our review of SubMeNow? We would like to hear your thoughts.